The experienced funeral directors at Paye Funeral Home will guide you through the aspects of the funeral service with compassion, dignity and respect. Our staff of dedicated professionals is available to assist you in making funeral service arrangements. 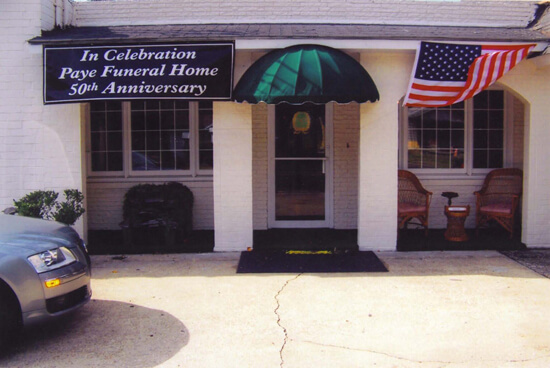 From casket choices to funeral flowers, the funeral directors at Paye Funeral Home provide individualized funeral services designed to meet the needs of each family. Due to the devastating Hurricane Matthew, the funeral home has been destroyed. But we are still proudly serving our families at our new location. Any questions on Services and Prices can be obtained by calling 910-483-4290.